This print shows a bold contrast in tone and various sizes of shapes between foreground and background objects. I like the interplay between flat patterns of snow flakes severed by the force of wind and the three dimensional movement of a skier demonstrating Jan Boklov's V-flight jumping technique. 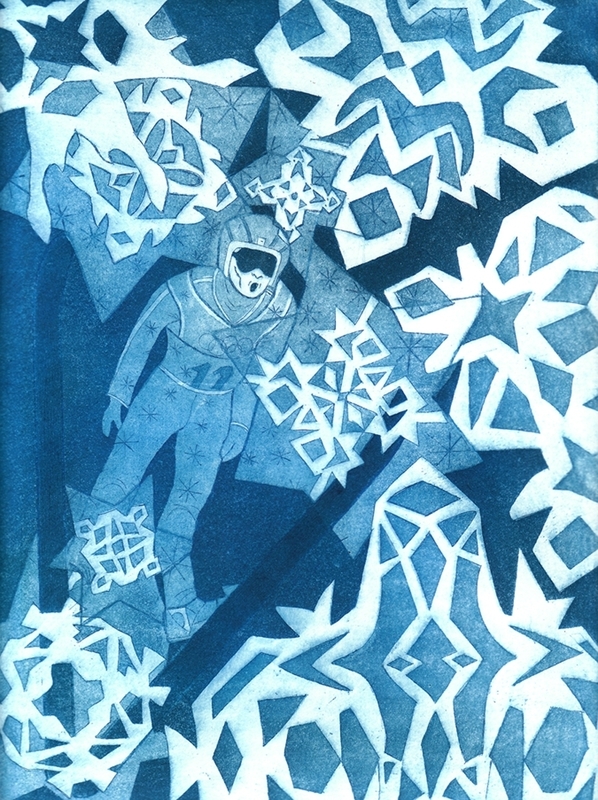 Layers of aquatint were used to achieve various values of cold blue. The stars imply night-time.